Applying for Green Common membership is free provided for an applicant with any spending. If an application is successful, the applicant, who must be aged 18 years or above, will be given a member card. 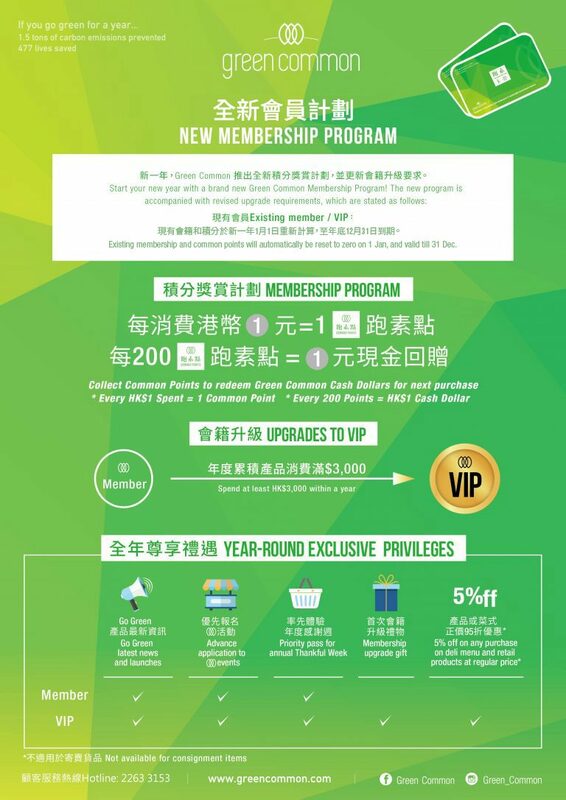 To ensure Green Common members receiving our promotional offers and discounts, members may be requested to supplement or provide us with their complete and accurate personal data, including name, phone number, email address, birthday information and address. To the extent permitted by law, we shall not be liable for any claim, demand, liability or action resulting from customer/member’s omission, neglect and/or failure to supply us with your updated information, or from the accuracy and completeness of those data. Members can call the Customer Service Hotline 2263 3153 (Monday to Friday, 9am-6pm) for enquiries. 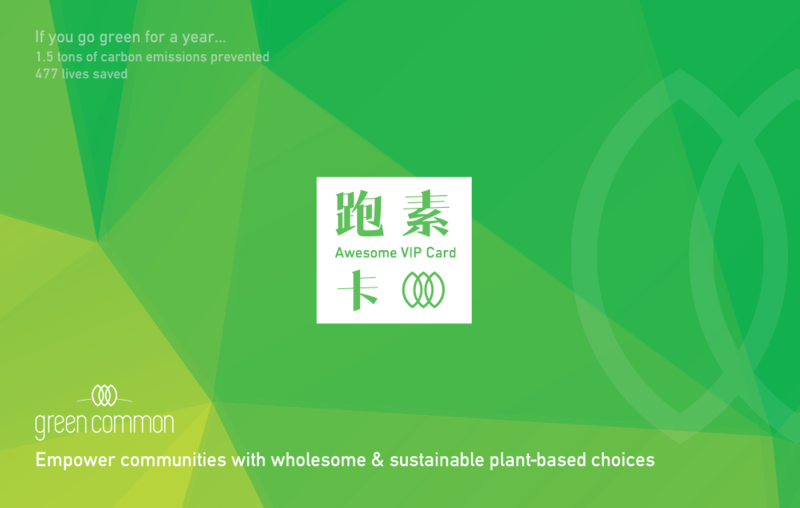 By showing your member card on payment, every dollar you spend at Green Common will be converted to 1 Common Point, and every 200 points can in turn be used as HK$1 in Green Common stores. Common Points will be updated simultaneously after shopping. Common Points can only be used as cashdollars redemption for next purchase. They cannot be redeemed for cash. Members must present their member card while redeeming cash dollars. Green Common has the right to request members to provide personal information for verification purposes. The Common Point records of Green Common shall prevail.Green Common will not accept any claim of missing Common Points after transaction. Common Points are non-transferable, non-divisible and VIP points stored in different membership cards cannot be combined. All the Common Points will be cancelled after Dec 31st. Any expired CommonPoint shall be forfeited automatically and member shall not be entitled to any form of compensation. Should members lose their member cards, Green Common will not, under any circumstances, reissue the card and Common Points. Green Common shall not be liable for any loss borne by the member after card losing. Green Common is not responsible for any case of undelivered email messages or notifications. 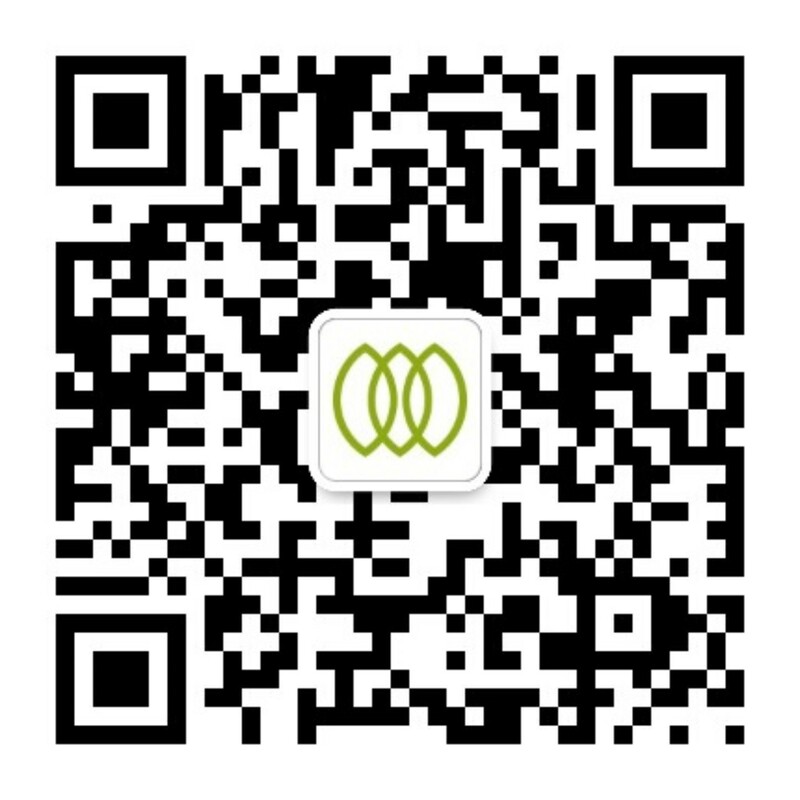 Green Common is not responsible for any loss of loyalty points due to technological or system problems. Green Common reserves the right to change the Terms and Conditions without prior notice. Should there be any dispute, Green Common reserves the right of final decision.